OPEC is Venezuela’s baby. Venezuela was one of OPEC’s five founding members in 1960. Venezuelans drafted OPEC’s charter. After his 1999 inauguration Chavez resurrected Venezuela’s role as OPEC patriarch. At OPEC’s 40th anniversary Chavez spearheaded a new price stabilization mechanism for the cartel. In December 2008, after prices plummeted, Chavez marched OPEC to a 4.5 million barrel a day (mbd) production cut that sent prices soaring. Between 1994 and 2002 Venezuelan oil production fluctuated between 2.8 and 3.2 mbd. Chavez’s 2003 clash with Petroleos de Venezuela (PDVSA) management lowered production to 2.3 mbd. Between 2004 and 2015 production flat-lined at 2.4 mbd. This trajectory reflects Venezuela’s having come under the command of an OPEC stalwart who cut production, then adhered to quota. Orinoco operations began in the late-1990s. PDVSA courted partners around the globe. 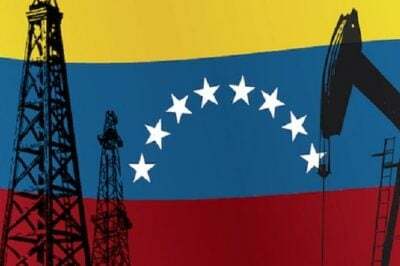 Contradicting their OPEC stance PDVSA told prospective partners (at least since 2010) that Venezuela planned to raise output to 6 mbd by 2019, of which 4 mbd would be Orinoco oil. Two dozen companies cumulatively pledged about $200 billion. China National Petroleum Corporation (CNPC) committed $16 billion to two production ventures and an upgrader. Sinopec inked a $14 billion deal regarding two operations. Rosneft led a consortium of Russian firms into two huge commitments. Chevron, Matsui, Eni, Statoil, Lukoil, Repsol, Total, Petronas plus firms from Brazil, Belarus, Cuba, Argentina and South Africa signed Orinoco deals; …almost entirely for naught. PDVSA missed production targets by a mile. Pipelines and upgraders that were supposed to precede production operations went unbuilt. PDVSA rarely provided its share of investment. Lukoil, Petronas, Total, Statoil and others pulled out complaining of: delays; opaque decision making; erratic taxation; and PDVSA obstruction. Many felt cheated. These grievances, plus earlier disputes over changes in ownership, spawned 17 lawsuits. While celebrating OPEC’s 50th anniversary (Caracas, 2010) Venezuelan Energy Minster Rafael Ramirez waxed on how the Bolivarian Revolution strengthened OPEC. Months later Ramirez led an OPEC faction (Algeria, Angola, Ecuador, Iran and Libya) against the Arab monarchs. The Saudis favoured abandoning the December 2008 quotas so they could fill voids created by the Libyan War and Iran sanctions. Ramirez championed the $100/b. Consensus fractured. The Saudis increased output 700,000 b/d. In October 2014 Ramirez called an emergency OPEC meeting. Prices had fallen to $86/b on increased Russian and American supply. Not every OPEC member heeded Ramirez’s call. Orinoco expansion plans tarnished his appeal for cuts. Arab monarchs offered discounts to Asian customers. The Saudis pumped at will. By January 2016 Brent crude sold for $26/b. Venezuela lobbied tirelessly for cuts. Their nemesis, the Saudis, wanted market forces to determine output. In February 2016 they agreed to freeze output at historically high levels. Venezuela cajoled Russia into cooperating. As the deal required Iranian and Iraqi approval, Venezuelan teams jetted for Tehran and Baghdad. In December 2016 OPEC agreed to cut production 1.2 mbd, down to 32.5 mbd; their first cut since December 2008. Non-member, Russia cut production 300,000 b/d. Street celebrations in Caracas hailed Maduro as the protector of oil prices. Venezuela was now in the throes of economic war and covert destabilization. This impaired oil production a myriad of ways. A credit freeze-out obstructed purchases and sales. Gangs looted oil-field equipment and kidnapped foreign managers. Skilled labour fled. In 2017 production fell to 2 mbd; then to 1.4 mbd in 2018. Early 2019 reports put production at 1.1 mbd. Venezuela had Plan A and Plan B. Plan A involved bolstering OPEC solidarity and boost revenues through restricting supply. If OPEC caved Plan B would maintain revenues through rapidly developing the Orinoco Belt. For Plan B to work it would not be enough for companies merely to have contemplated investing in Orinoco. Shovel-ready projects had to be in place. Companies had to be strung along pending the outcome of Plan A, even at risk of souring relations.